It's almost the end of January, and I've been working on a multitude of different projects. Some of them have been school projects, other work, yet more personal projects. A couple of those personal projects relate to Lyoko Freak, and I've been working to try to progressively unveil new functionality to the LF that we all know and love. I've been working on the behind-the-scenes stuff for the main website, the forums, and our relatively new wiki. 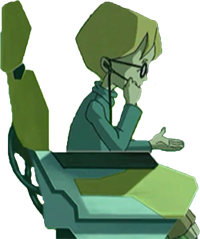 I'm intending for everything to be tied together both in terms of look and feel, to bring Lyoko Freak's code base from 2006 to 2013. For someone who's not a web developer, this is a fairly ambitious project, but one I strongly believe that I can accomplish with few problems. Additionally, I've got another big project that I'm just starting on now; I'm hoping that I can make some sort of annoucement about it at the beginning of March. If anyone finds any problems with the site, feel free to contact me either on the forums or via email so I can get it sorted out. Hey everyone. 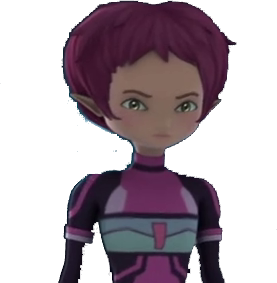 If you haven't heard at the forums yet, Lyoko Freak is changing. We're modernizing, we're getting ready for Evolution, and the site's going to be bigger and better than ever. If you've been away for a while, the forums have been upgraded from the legacy phpBB2 to phpBB3, which easily is the largest most monumental change we've made on the site in years. In the coming weeks, the entire website is going to be overhauled rather extensively. It's going to be a ride, but definitely a ride that I'll enjoy taking with you guys. Over two years since the last post! I still maintain the server and I recently upgraded to a brand new dedicated server so I migrated the site to that new machine. Everything seems to work, just use this email if you come across any issues: contact[at]lyokofreak(d0t)net. There's been some interest in updating the forums by a few members. I'll work with them so they can do that soon. See you in the future! Hard to believe its been a year. A number of you still use this website, so it will stay up for a bit longer. It was down because of various problems with our host. To make it easier for you guys to tell us when the site is down, I setup the email address: contact[at]lyokofreak(d0t)net. The email forwards directly to an account I check daily. Don't expect a reply, but I'll look into it. Oops! I forgot to change some of the phpbb settings so you guys got redirected to the ad site formally known as codexana.net. That's fixed now, so don't be scared to get on the forums. Bye for now! The hosting at codexana.net ran up so we moved Lyoko Freak to another server (the same that used to host Tech Links). Site preformance should stay about the same, if not faster. I am not keeping the codexana domain so make sure you don't use that address any longer. Things are likely to be buggy with the site until I update all the links. You can report anything that doesn't work by contacting me on skype: pheadxdll. Thanks for being patient! 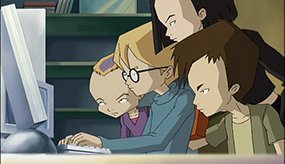 In case you hadn't noticed, the main Lyoko Freak website had been broken for a while. Random pages displayed wrong, had missing images, or just plain didn't work. This was due to links being hard-coded into the pages, which made it not simple or easy to change the links to point to the new domain, as each and every page had to be updated individually. Now, though, Lyoko Freak has been totally transformed into PHP code, which will allow for easier updates/redesigns/etc. in the future. The design hasn't really changed much, but various fixes have been made around the site. Please report if you find anything broken! Lyoko Freak is now on a different hosting! It is hosted gracefully by Tech Links. We're still settling in and there may be a few bugs here and some dead links there. Please report anything wrong with the website or the forum to me VIA Private Message after 6/8/07(Supossed time on when I will fix everything). 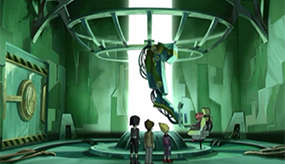 As usual, welcome to Lyoko Freak! Don't worry, the staff you've always loved are still here. Be sure to visit them at the forums and say hi! Lyoko Freak will be undergoing some changes in the near future. Keep an eye on here for more updates to come!